The Stuart dynasty plunged Ireland into conflict on several occasions and resulted in both the Cromwellian invasion as was mentioned yesterday and the Battle of the Boyne an event which to this day creates tension and conflict and is seen as a totem in inter-community relations. The legacy of the Boyne is now at least being engaged with by both sides of the conflict and the complexities of the battle and its role in the much wider struggle that convulsed Europe at the time is being recognised. 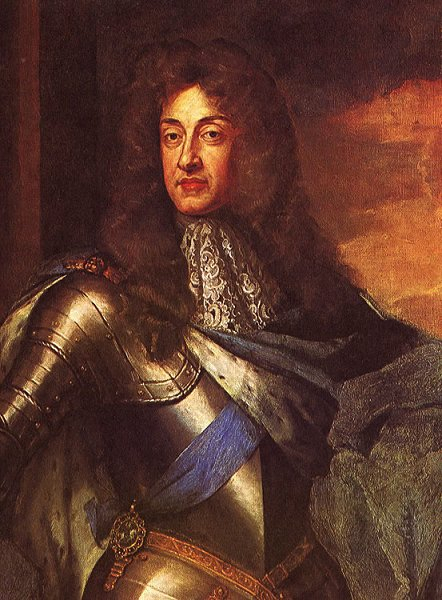 James II was a Catholic. His own subjects had deposed him the previous year in a combined coup and invasion orchestrated by leading figures and carried out by the Dutch Prince William of Orange who was married to his daughter, Anne. The events became known as the Glorious Revolution and reflect again the impact of the wider world on Irish affairs. Written by: Eoinpurcell on 12 March, 2010.on 4 August, 2010. 3 Responses to "Today In Irish History – James II Lands At Kinsale, 12 March"
Did the French actually support the jacobite’s at the Boyne and how many? They did Peter. Louis XIV sent over roughly 6,000 troops including officers and also much arms and equipment.